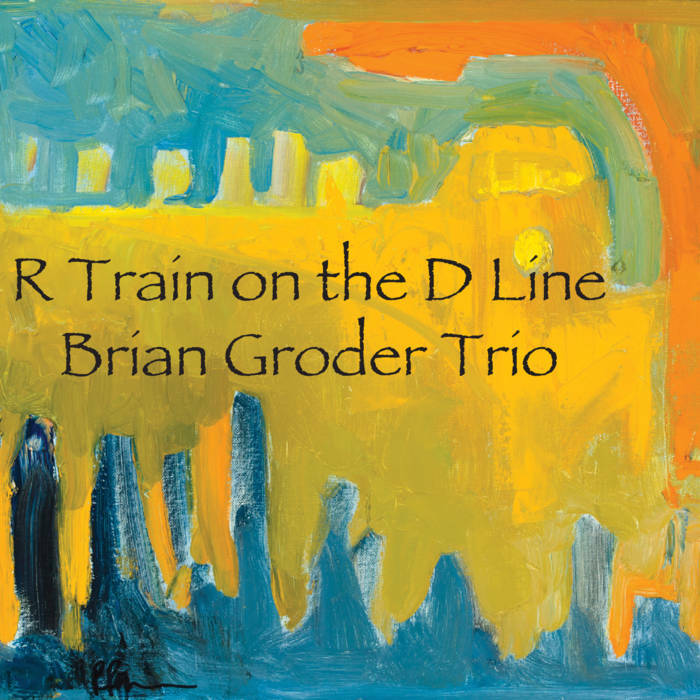 Trumpeter Brian Groder's trio with bassist Michael Bisio and drummer Jay Rosen plays a sleek style of modern jazz that builds on the spirit of free-jazz and delivers with a laser-like focus. 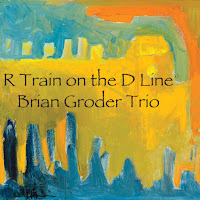 On their second release 'R Train on the D Line' (if you're a New Yorker, you know), Groder and company pick up with where they left off with 2014's Reflexology. Opener 'Quanta' is fast and free, and you're immediately struck by the clear, focused sound of the trumpet. The lines between the composed and the improvised are blurred as the tune segues seamlessly between rhythmic figures. This same precision and restrain is found on the follow up 'Retooled Logic', which kicks off with a syncopated melody line with wide intervallic leaps. Then, the trumpet and drums drop out, leaving Bisio to improvise an emotive arco passage. Even in these quieter moments, the pulse and drive continues, perhaps credit to Rosen whose playing lingers long in the ears. Actually, it's the open spaces between the musicians that invites the listener to almost participate by filling them in. For example, I wonder if I could suggest that next trio recording be a quartet - there were moments on the delicate ballad 'Whispers', towards the end of the album, when I swear I heard a piano. Groder's discography is slim, but each entry is a thoughtful collaboration that invites return visits. Some highlights include his meeting with Sam Rivers on 2007's Torque as well as his 2009 collaboration with pianist Burton Greene. Both of the albums are full of verve and clarity that is found in Groder's playing also here on R Train on the D Line.